VetsNorth aims to offer leading CPD for the entire veterinary team in a great, accessible venue. Delegates will benefit from access to four streams, a range of workshops, good food and an exhibition showcasing the latest products and services from companies within the profession. This conference also provides professionals based in the north with opportunities to connect with renowned speakers and engage with professionals from across the industry. Register now to benefit from the discounted rate and a six month subscription to Improve International’s online CPD platform Bitesize. 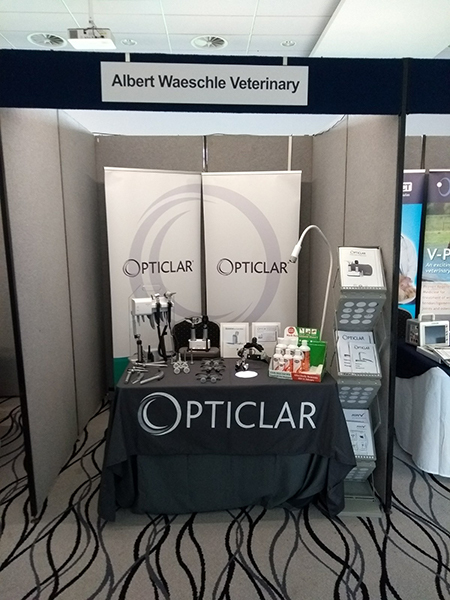 Albert Waeschle’s specially developed range of OPTICLAR Veterinary equipment is proving to be a hit with vets around the country. 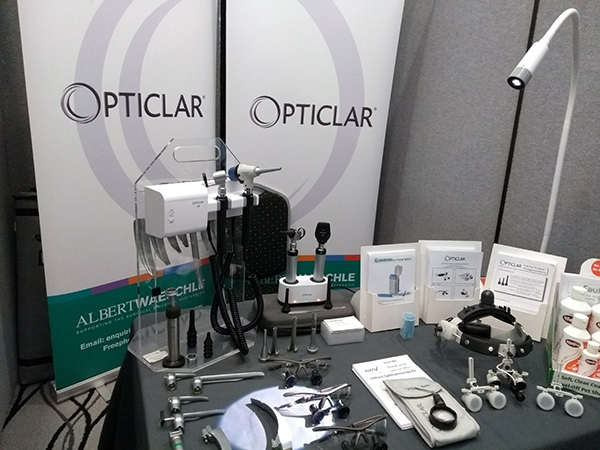 By attending events such as these we have significantly raised awareness of the OPTICLAR brand. Albert Waeschle Stand – ready for action!! We continue to spread the word with our International Distributor base covering Germany, France, Italy, Romania, Ireland, Sweden and Australia. This is growing month by month and we welcome enquiries from interested parties as we are extremely keen to establish strategic partnerships around the globe. For our full range of Veterinary Diagnostic equipment please click on this link: https://www.opticlar.co.uk/product-category/vision-vet/ for further details. The OPTICLAR veterinary portfolio has been developed with the benefit of over 40 years experience in the Veterinary market place. By harnessing our own knowledge combined with dialogue with key specialists, unique features have been incorporated in to the design of the products. These are developed with the aim of increasing diagnosis accuracy, saving time and saving money. First established in 1958 Albert Waeschle is a family owned company distributing and manufacturing products for the General Practitioner, NHS, Veterinary and Dental fields. We have always focused on product design and development to ensure our customers enjoy first class performance and longevity throughout the product’s life.